Casepoint, one of the first companies to offer a cloud-based, end-to-end e-discovery platform when it launched in 2008, said today that it will unveil a “transformative upgrade” to that software, based on its new Casepoint Platform, a technology designed to allow law firms and legal departments to integrate a variety of enterprise applications, data and workflows within one platform. The Tysons, Va., company will be demonstrating the enhanced e-discovery software and the new platform at the Legalweek conference next week in New York. The news reflects a trend I wrote about recently in my post on the 20 most important legal technology developments of 2018. I described it as the platformization of legal technology — the trend among companies to emulate the model of CRM company Salesforce and turn their products from applications to platforms that support an ecosystem of apps that enhance the core product. At the ILTA conference last August, Casepoint CEO Haresh Bhungalia and Chief Strategy Officer David Carns told me about the development of the platform. Casepoint over the last two years has been rebuilding its core platform from bottom to top. It will support everything Casepoint does in e-discovery, but will also be an entire legal technology platform that will support time-and-billing, matter management, and time management. 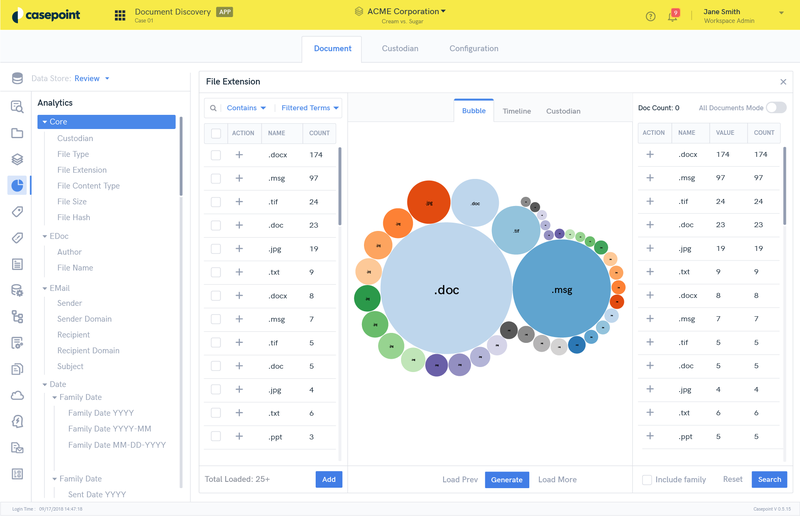 Clients will be able to build their own apps to run on this platform, both in support of e-discovery or for unrelated purposes. 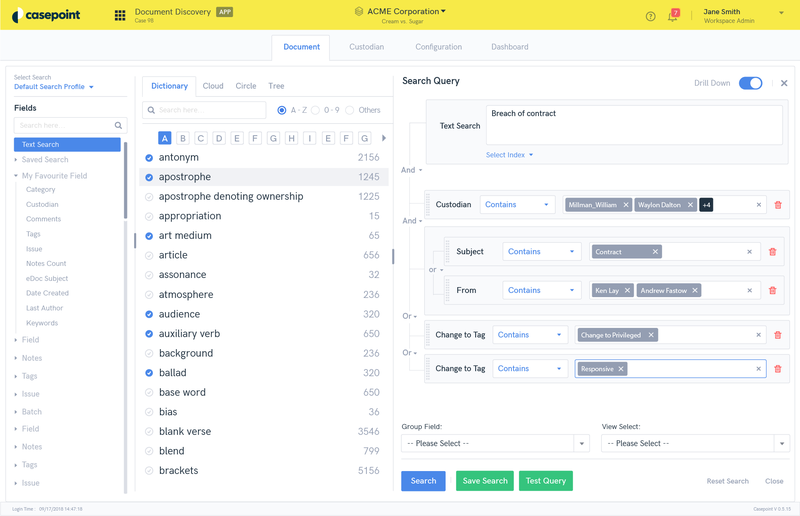 The company says its redesigned Casepoint eDiscovery has been built on this platform, giving users more options to create and manage the e-discovery workflow to meet their own specifications, from database setup and data processing through to the end of the discovery process. Casepoint says the new user interface is faster and more intuitive. I am scheduled to meet with Casepoint next week for a demonstration of the new e-discovery software. Casepoint says it will be a full end-to-end, cloud-based e-discovery product with state-of-the-art tools for collections, processing, culling, review and productions. It will also include artificial intelligence and analytics “that are the most robust in the industry,” Casepoint says, including advanced tools for technology-assisted review, early-case assessment, and data visualization. Integrated AI and analytics will improve results, Casepoint says. The company says it will be able to handle millions of documents and unlimited numbers of users, all priced in a way that is transparent, without upsells or user fees. With respect to the new Casepoint Platform, the company says it is an enterprise-scale application development and deployment environment built upon web APIs and an N+1 scalable architecture. Because Casepoint eDiscovery runs on the platform, e-discovery users will be the first to be able to take advantage of the platform. “Law firms and legal departments will have the option to customize the technology to meet their own specifications from database set up to data processing and all the way through to the end of discovery, without incurring extra consulting fees,” Casepoint says. If you are attending Legalweek, Casepoint will be at booth 134.